After establishing an account with TrustSpot, we were able to quickly gather customer reviews after they received our subscription box. This allowed us to better understand how our customers enjoy our product, and what changes we need to make going forward. Integrating into the WooCommecrce platform was very easy, and TrustSpot was there if I had any questions. 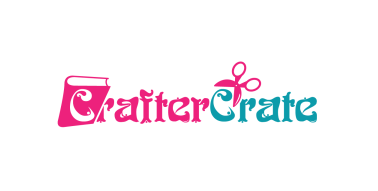 Crafter Crate was founded in 2015 to enable Arts & Crafts lovers around the world to enjoy fun and unique art projects each month. 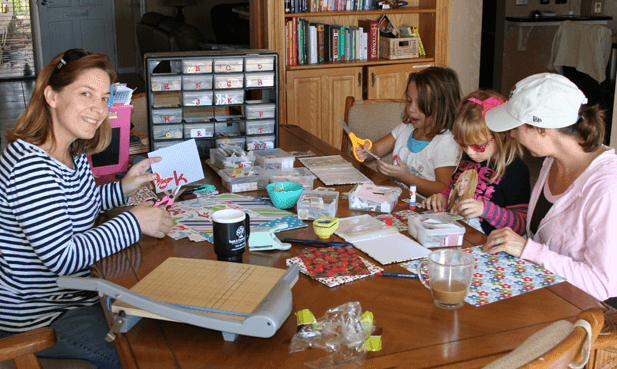 Every month when the Crafter Crate package arrives, customers are given a full set of art supplies, tools and a project guide to start creating something fun. Since we operate on a monthly subscription system, its easy for customers to sign up and get started with us. Each crate is hand designed by one of our featured artists each month. As Crafter Crate continued to grow their company, they faced issues with customer’s unsure if they were a trustworthy place to do business. Being a young company, its difficult to get your message across if users are distracted. Crafter Crate also wanted a way to re-engage their users through marketing such as coupons for promotional months or to upsell other packages to segmented users. When we started looking in the marketplace for a review provider, we were dismayed by the options we initially discovered. All the review providers we looked at were very expensive, such as Yotpo – which wanted us to pay $699 per month with a 1 year contract! I knew there had a to be a better provider out there to help us. 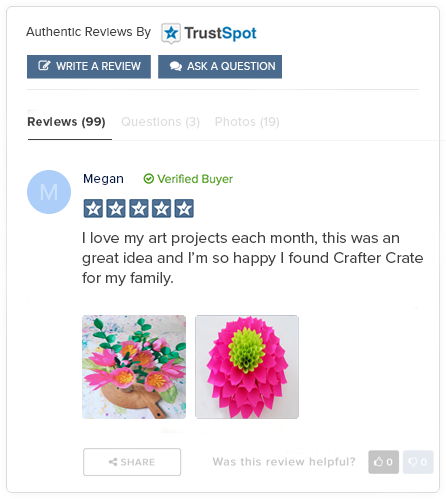 Crafter Crate soon discovered TrustSpot to help them request reviews from their existing users, re-engage segmented users in order to increase their ROI via Coupons, Q&A, Photos and Email Upsells. TrustSpot handled the system integration for Crafter Crate, which saved them time and money. Once TrustSpot was setup on the store, Crafter Crate utilized their account manager for helping to setup their account and make sure they were doing everything right to maximize the platform. TrustSpot helped Crafter Crate increase their marketing ROI by reducing the guessing work about how to engage with their customers. 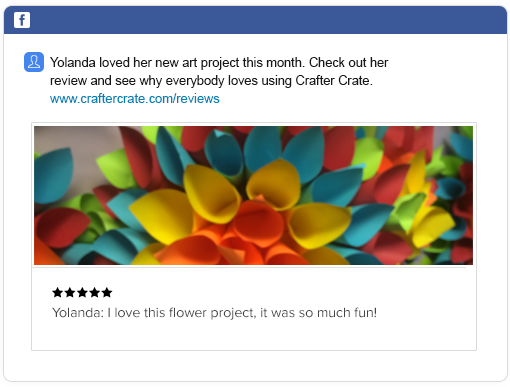 Coupled with the review graphics on their site, Crafter Crate increased their overall sales by 30%, while maintaining a perfect recommendation score. By implementing TrustSpot, not only did Crafter Crate increase their revenue, but they also increased their average order value by 60% and the average time a user spends on the site by 12%.